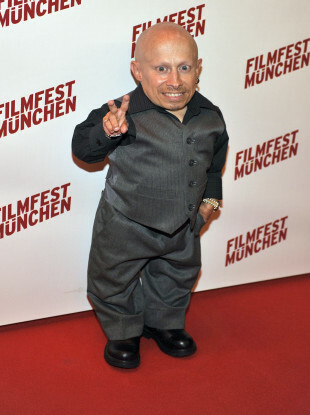 VERNE TROYER, BEST known for his role as Mike Myers’ comical sidekick Mini-Me in the Austin Powers movie franchise, died last April of suicide by alcohol intoxication, the Los Angeles County coroner’s office has reported. Troyer had a potentially fatal level of alcohol in his system and was saying repeatedly that he wanted to die when he was admitted to a Los Angeles hospital on 3 April, according to the coroner’s report. He died there on 21 April of multiple organ failure. The report concluded that Troyer’s death was caused by “sequelae of alcohol intoxication”. He became a star playing Mini-Me to Myers’ Dr Evil and Austin Powers in the 1999 film Austin Powers: The Spy Who Shagged Me and its 2002 sequel Austin Powers in Goldmember. He also played banker-goblin Griphook in Harry Potter and the Philosopher’s Stone and appeared in dozens of TV shows, videos and other films in a career spanning more than 20 years. After his hospitalization last year, he was candid about his drinking problem, saying he had followed up with a stint at a rehab centre. Email “Austin Powers actor Verne Troyer's death is ruled a suicide ”. Feedback on “Austin Powers actor Verne Troyer's death is ruled a suicide ”.